MAGNET Enterprise is a browser-based web application designed to connect Topcon software and hardware products together via a cloud connection. The web application comes with several additional benefits such as the ability to project manage data, assets, employee time, proposals, and tasks. As an oversight tool, survey data and information for geo-referenced projects can be easily overlaid on a Google® map. 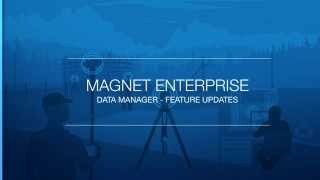 MAGNET Enterprise is available as a subscription service only and is available for purchase through a Topcon dealer, or through the Topcon e-commerce store (www.magnet-enterprise.com). Typical users include survey and mapping experts, construction layout teams, earthworks contractors, engineers, DOTs, and more. The MAGNET Enterprise integration with Autodesk® BIM 360® is designed to streamline document management bi-directionally and provide a dedicated location for sharing and saving the most updated project files. Construction teams can perform field layout from building plans stored simultaneously in the MAGNET Enterprise and the Autodesk cloud and machine automation users can have direct access to plans or constructible models stored within BIM 360 Docs. The cloud connectivity is another example of Topcon and Autodesk continuing to work together to provide our users the most concise and succinct workflow through collaboration and commitment to openness in our software. This app will enable your MAGNET Enterprise account to integrate with your Autodesk applications such as BIM 360 Docs and A360 Personal HUB. The cloud connected document management allows users to copy, import, or export files between Autodesk and MAGNET software solutions.